Littlehampton and Horsham fraudsters have been jailed for trying to steal £60million for fake research into a cure for HIV as part of a fraudulent tax avoidance scheme. Ethical Trading and Marketing Ltd company director Antony Blakey, 68, and finance director, John Banyard, 70, enticed wealthy people to invest in the scheme with the promise of avoiding tax by supporting tree planting in the Amazon and research into a HIV cure, according to a HM Revenue and Customs spokesman. But HMRC found very little evidence of the £160 million the fraudsters claimed to have invested in Brazil between March 2005 and March 2009, and no evidence on real funding for HIV research. Blakey, from South Terrace, Littlehampton, and Banyard, from Dickins Way, Horsham, were found guilty on March 3, 2017, after a trial at Southwark Crown Court that began in September 2016. Restrictions on reporting this trial were lifted yesterday after two others involved in the scheme pleaded guilty. Simon York, director of the Fraud Investigation Service for HMRC, said: “This was a calculated and cynical crime carried out by men who had no shame in using a worthy cause like HIV research to mask their criminality. "In doing so, they attempted to steal millions of pounds from the taxpaying public - money that ultimately pays for vital public services like the NHS. “Promoting tax avoidance schemes is bad enough and we’re making it a priority to go after those who market them, but for these men that was just a first step in establishing an elaborate criminal operation that included offshore accounts, fake transactions and blatant lies. World-renowned conservation scientist Professor Ian Swingland, 72, joined the fraud to help create fake documents and add credibility to the scheme. Swingland, of Alexander Close, Sandwich, Kent, was stripped of his OBE after being found guilty on March 3, 2017, of one count of conspiring to commit fraud by false representation. During the investigation, HMRC worked with a number of foreign jurisdictions including Germany, Mauritius, Brazil, the Netherlands, France, Cyprus and the United States and found the fraudsters used offshore companies in Mauritius and the Seychelles to cover their tracks. “The offences required significant planning and the fraudulent activity was over a sustained period. You were all involved in different ways in dishonest tax schemes. Blakey was jailed for seven and a half years on 10 March 2017; revised to nine years at the Court of Appeal on 25 May 2017. 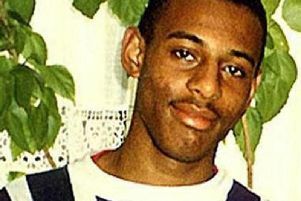 Banyard was jailed for four and a half years; revised to five and a half years at the Court of Appeal, on the same date. Swingland received a two year sentence, suspended for 18 months. On 3 November 2017, Antony Blakey also pleaded guilty to evading Income Tax of £441,000 through the use of offshore companies and bank accounts. Yesterday, John Banyard pleaded guilty to Income Tax evasion of £207,000. Martin King, 56, from Oakfield Gardens, Beckenham, Greater London was a financial planner who hid his true income by arranging payment of work he did with Blakey through an offshore company. He pleaded guilty to the fraudulent evasion of £235,000 Income Tax yesterday. All three men had used companies registered in the Seychelles and bank accounts in Cyprus to hide their personal income and evade tax. John Banyard also pleaded guilty to facilitating the Income Tax fraud by Blakey and King. Kristin Jones, head of the Specialist Fraud Division at the Crown Prosecution Service, said: “These two men flagrantly stole millions from the public purse, under the guise of investing in research and conservation. Our Specialist Fraud Division, along with HMRC, has made sure that they will no longer be able to profit from their dishonesty.